So I've been doing a 30 digital artworks challenge since January, each one inspired by a word, a prompt. This one was the word 'Juicy'. I thought long and hard about it, what connotations does juicy have? 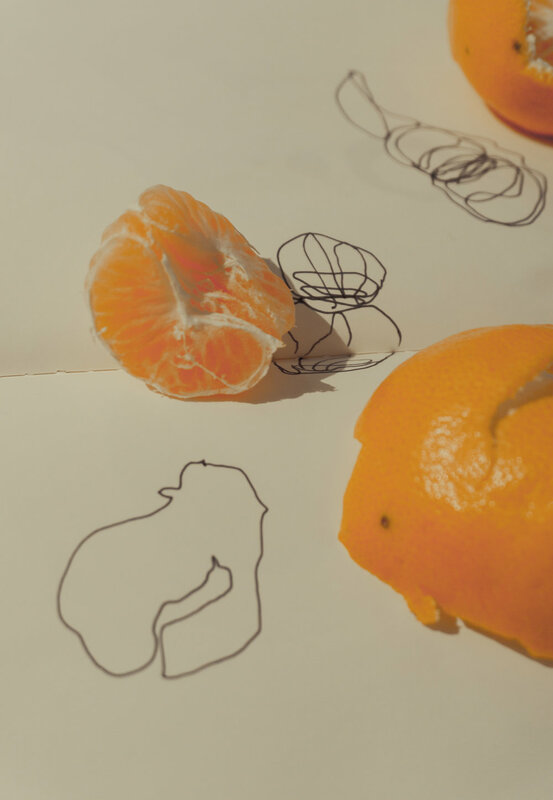 how about a still life of some oranges? what about the sexual connotations and how do I work with that? I wanted to look at the male form, in particular - the buttocks. What I usually do, is start with some research. In this case, I was looking at illustration of figures in the works of Matisse, Picasso and so on. Interestingly, I came across quite distinct shapes, that would have given 'Juicy' everything it needed had I drawn a woman. When it came to the male form, most shapes tended to be rigid rather than fluid, with a focus on the ruggedness of flesh and chisel of bone. I took this as a challenge, to create and encapsulate the curve, the sway, the plumpness of a gracefully male form. Along the way, the colours which came to me were warm yellows and oranges, a tribute perhaps to the watery fruits first in my mind? Almost as if by evolution, the colours then formed shapes and shapes which formed balance. 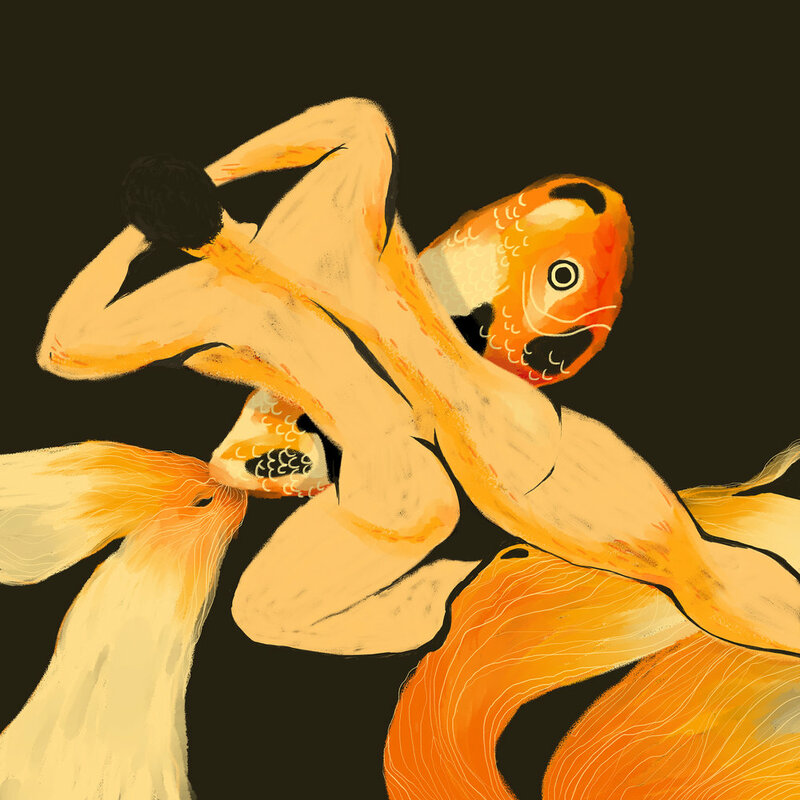 A man appears to be sleeping, and in a dream-like state he is swimming with Koi fish. It reminds me of Ying and Yang, yet it's different to this. The man is simultaneously both. Perhaps in dreams we are free from the binds of dichotomy. Its a dreamy sort of afternoon, the rain is falling over Sydney harbour, the glass on my balcony is fogging up, my little oil heater is on full blast and 3 o'clock is making things a little sleepy. 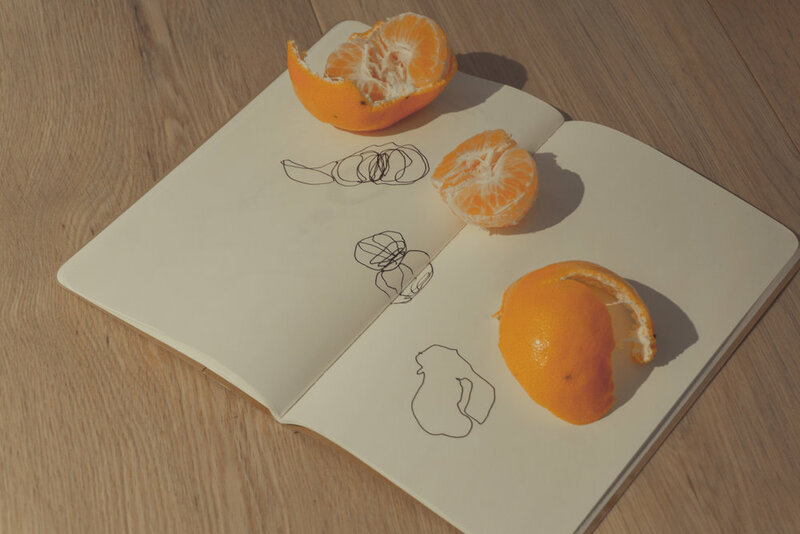 This afternoon's pick me up was a little clementine snack and study. Sometimes to pull away from a screen and put pen to paper is a great way to re-inspire creativity, or if not that - it's a sort of meditation.